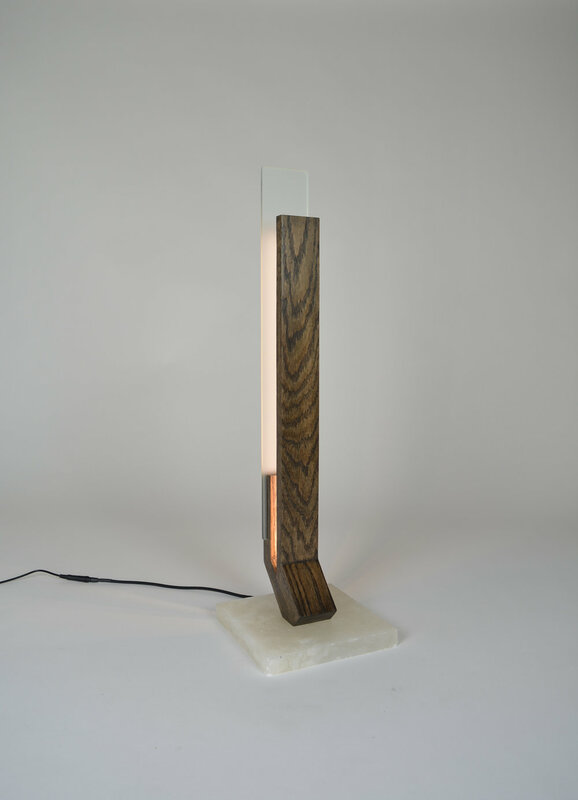 Oak table lamp with acid-etched glass and alabaster table. This lamp has a parallel arm configuration creating negative space where LED lighting elements are embedded and face rearward toward the translucent glass creating a rear glow as well as a forward reflection of light to create an ambient glow. The dimmable LEDs are rated for 40,000 hours. Dimensions: 24" x 8" x 8"